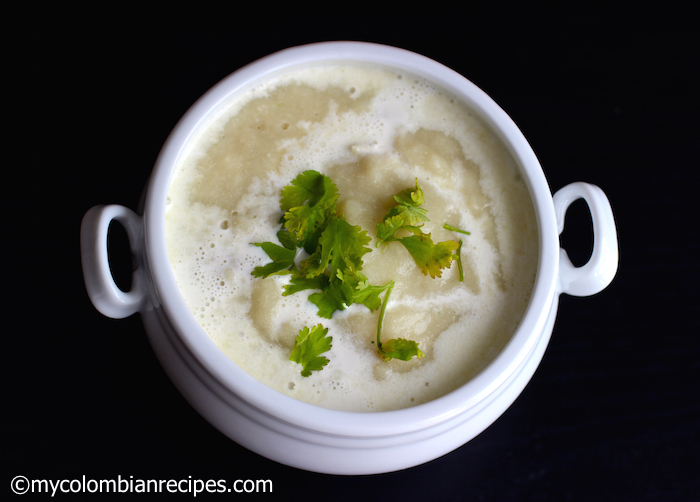 Crema de Pollo is a cream of chicken soup commonly served in Colombian homes. 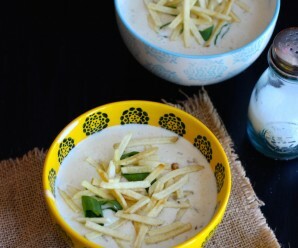 It’s a hearty soup that can be a meal on its own, an appetizer or a first course. 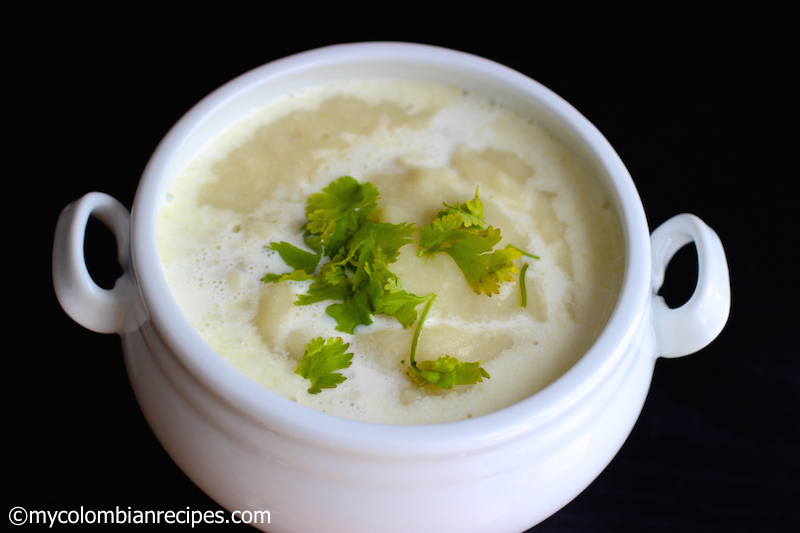 Surprisingly, being an extremely picky eater when I was a kid, I was not turned off by pureed soups. In fact, Crema de Vegetales (Cream of Vegetables Soup) was one of my favorite soups, right behind Crema de Mazorca (Cream of Corn Soup). Actually, I would eat any sort of creamy soup that was put in front of me. 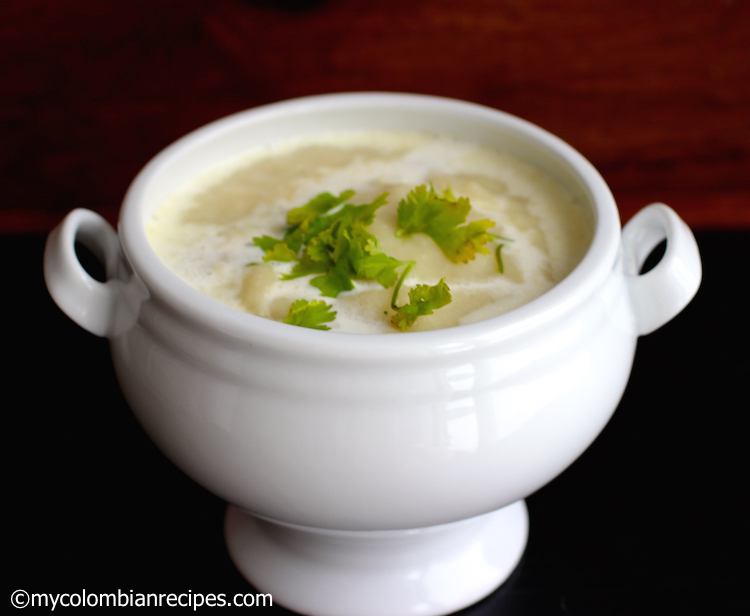 Cremas or pureed soups, of which there are many variations, are very popular in Colombia. They’re even sold packaged and ready to make, and although not as good as homemade, many people enjoy them as well. When I am missing my family, I like to make soups to cheer myself up. The truth is, when I make Colombian recipes that I grew up eating, I feel closer to my family and don’t feel like Colombia is so far away. 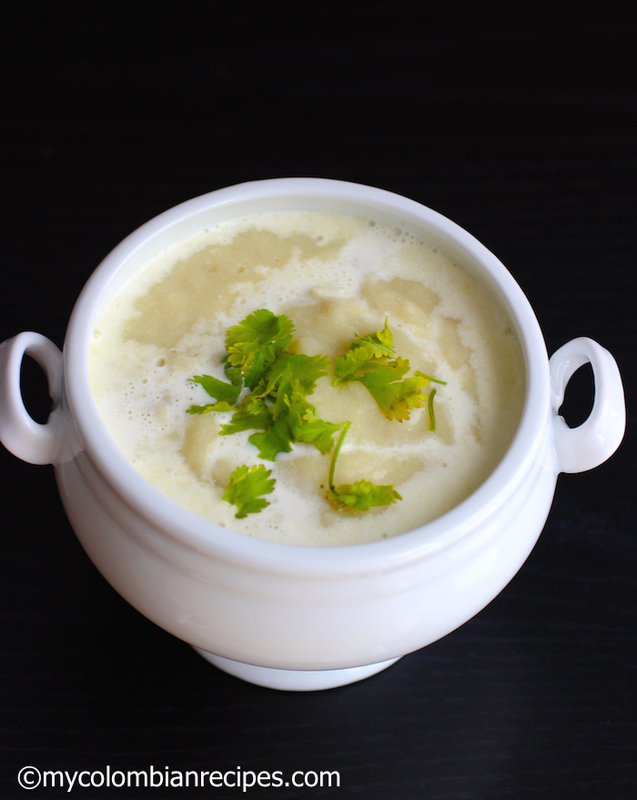 Cremas or pureed soups are very popular in Colombia and we have many variations, like this Crema de Pollo. They even sell them packaged and ready to make, although not as good as homemade, many people enjoy them as well. 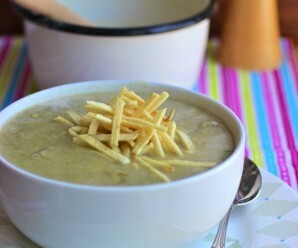 When I am missing my family, I like to make soups to cheer myself up. The truth is, there’s something about making recipes that I’ve eaten in Colombia that makes this country seem like it’s not so far away from my family and places I love in Colombia. Heat the oil in a large saucepan add the onions, scallions and garlic, cook on medium low heat for about 8 minutes, stirring occasionally. Add the chicken, cumin, the broth and potatoes, bring to a boil. 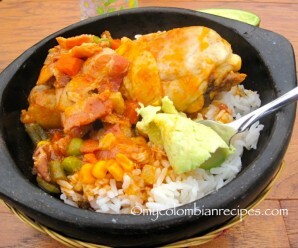 Reduce temperature and simmer until the chicken is cooked and the potatoes are tender, about 30 minutes. Season with salt and pepper, remove from the heat and let the soup cool until it is safe to blend. Blend the soup, mix in the milk and cream, and reheat. Garnish with fresh cilantro or scallions and serve warm. 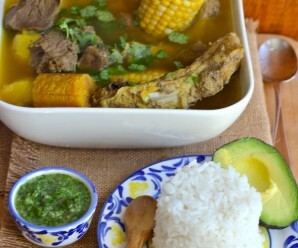 this looks a lot better than any cream of chicken soup i’ve ever had! delicious work!